The Unitarian Universalist Service C ommittee (UUSC) has worked on issues of human rights for the past seventy-five years, having begun its work at the end of World War II. It focuses its efforts on protecting the rights of all people, in particular working to ensure access to water, worker’s rights and civil liberties as well as responding to humanitarian disasters. Currently, they partner with grassroots organizations in twelve countries around the work including the United States. Here in the US, they are involved in ensuring the rights of farm workers, better care of detainees in government detainment centers and on improved assistance to refugees from the Middle East, both here and in Europe. The AUUF supports the UUSC in a number of ways. Many of our congregation’s members are members of the UUSC, including our children’s Religious Education program. For over 10 years we have sold Equal Exchange Fair Trade products after Sunday services. The UUSC is an interfaith partner with Equal Exchange and receives a donation from Equal Exchange for every purchase we make. Our UUSC Market in the fall provides a wonderful chance to share our homegrown produce, baked goods and handmade pottery. 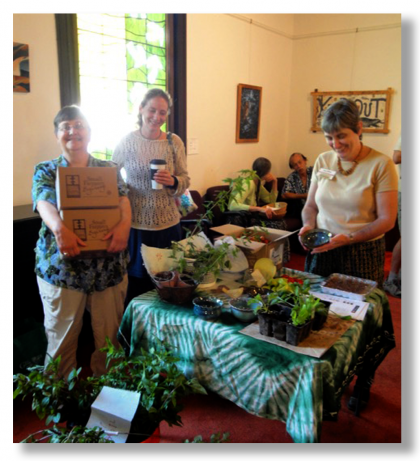 In 2015, our market raised $591 dollars for the UUSC. We participate in the Guest at Your Table program, which reminds us of the millions of people around the world who do not enjoy the basic human rights we take for granted. Dropping a few coins in our bowl or can as we sit down to a meal with our family, we reflect on our good fortune and the opportunity to help others. 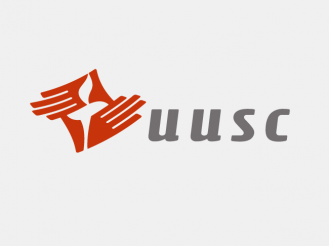 The program also provides a convenient way to become a member of UUSC.